Most of us know that getting plenty of fiber can help keep our digestive system in good working order. But fiber has many more health benefits. 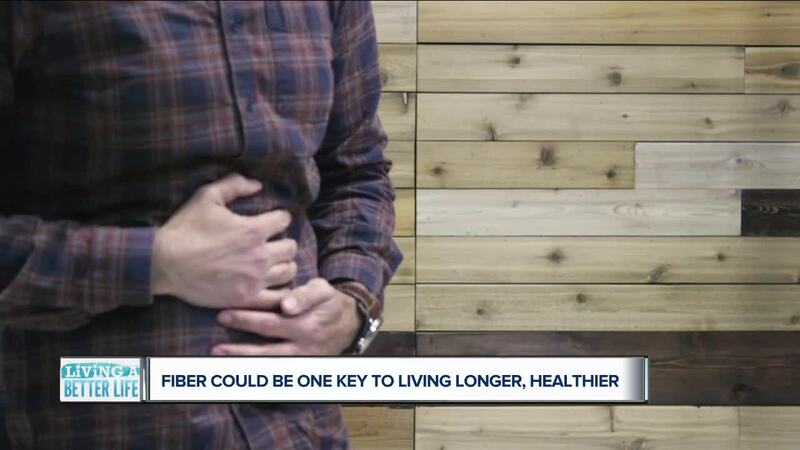 DETROIT (WXYZ) — Most of us know that getting plenty of fiber can help keep our digestive system in good working order. But fiber has many more health benefits. As Consumer Reports reveals, fiber could even be the key to staying youthful longer. In the battle against aging, an often-overlooked ingredient to staying healthy and living longer may be the fiber that’s locked in a little bean. In a 2016 study, older people who ate fiber-rich diets were 80 percent more likely to live longer and stay healthier than those who didn’t. “You need to get 25 to 30 grams of dietary fiber a day, and most Americans don’t get that much,” said Patricia Calvo, Consumer Reports Health Editor. By eating foods like beans, vegetables, fruit, nuts and whole grains, fiber can work its anti-aging magic. “Fiber helps your health in so many ways. It can protect against type-2 diabetes. It helps to lower cholesterol levels. It helps in weight control because it helps you feel full. And, of course, it helps your digestive system run smoothly,” said Calvo. And if you’re worried about gas or bloating from eating more fiber, be sure to take it easy at first. So, increase your fiber intake gradually, spread it across meals and be sure to drink more water simultaneously. Without enough water, fiber can actually be constipating.